Our range of Adventure packages are cycle tours with a twist. They are designed to spice up an already invigorating tour by offering a selection of other activities that are included in the tour package. This unique cycling adventure takes you through the beautiful and diverse Eastern Cape region of South Africa. Where Zuurberg mountain village (www.addo.co.za) will host you for the 4 nights. You will have the chance to do adventurous elephant rides when not out on your bike. You will also get to come face-to-face with elephants, buffalo, rhino and many other wild animals on evening game drives. All these activities are rounded off with mouth-watering local cuisine and welcoming luxury accommodation. With the experienced tour guides and a full back-up service to look after you, all you have to do is relax and enjoy the adventure. Enjoy a leisurely cycle ride along the edge of the elephant park, with only a few strands of wire between you and the mighty elephants. You will thread your way along scenic back-roads and winding jeep tracks to Ann’s Villa Blacksmith Museum and Bakery for lunch. You will be picked up and enjoy an elephant back safari. Laze away the rest of the afternoon at the swimming pool and then enjoy a true African braai in the under the evening stars. Taking riders down the pass through some of the best purpose-built mountain bike single tracks in South Africa, this is a ride not to be missed. 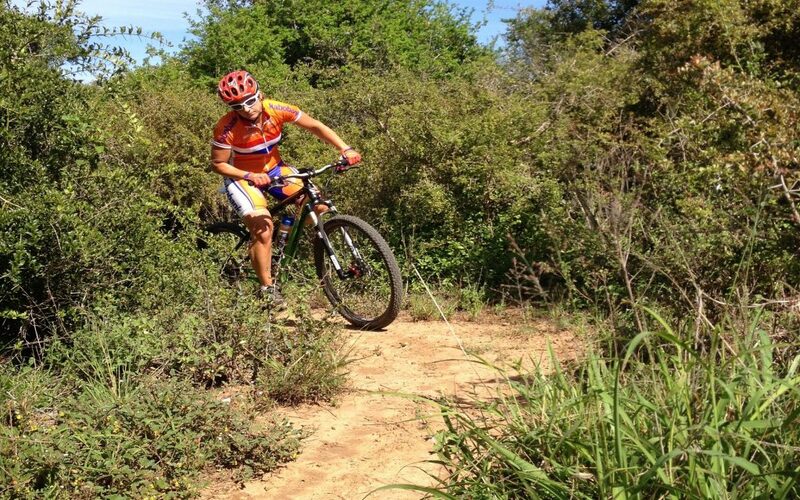 It caters for all levels of riders – weather you are looking to ride on gravel roads or on the SA Cross Country or Downhill Championships course, you’ll be smiling all the way. – We take no responsibility for the loss of any of your equipment on your way to and from the tour or on the tour.